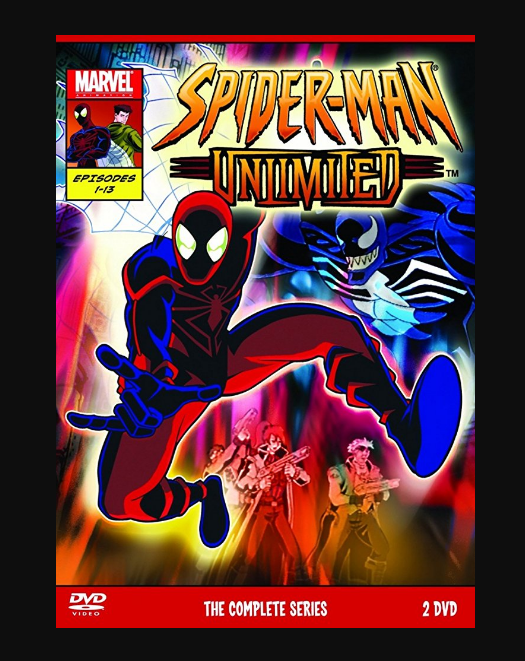 Spider-Man Unlimited is an American animated series by Saban Entertainment which features the Marvel comic book superhero Spider-Man. Unlimited premiered in 1999, and though it had fair ratings, it was overshadowed by Pokémon and the newly debuted Digimon, and canceled after airing only a few episodes. 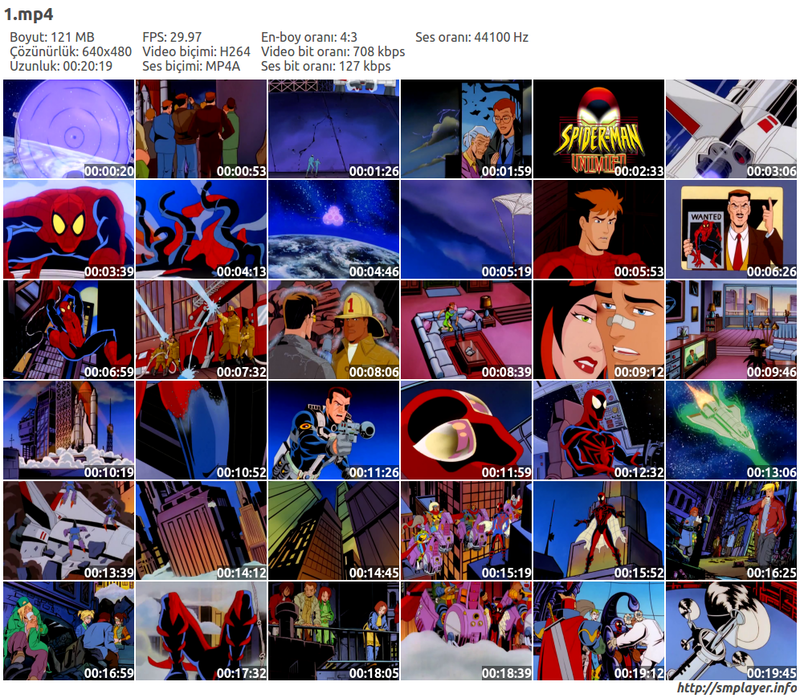 Fox Kids later resumed airing the show from 2000 to 2001, airing 13 episodes, the last ending on a cliffhanger. Several scripts were written for Season 2, including the conclusion of the cliffhanger, but were never produced. Initially, the goal was to do a low-budget adaptation of the first 26 issues of The Amazing Spider-Man comic book, but Sony and Marvel had already engaged in a deal, and so Saban was cut from any source and could not use the traditional Spider-Man suit or adapt the early comics. Also, in the original idea, Spider-Man was stranded in a Counter-Earth in which Ben Parker didn't die and thus Peter Parker lacked the moral fortitude to resist becoming Venom. However, Marvel Comics didn't like the idea and stated that they would not do a story with two Peter Parkers. Not: Seri normalde 13 bölümden oluşmaktadır. Ancak elimde sadece 5 bölüm mevcut. Bölümlerin sıralaması IMDb sitesinden bakılarak düzenlenmiştir.